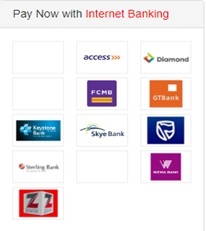 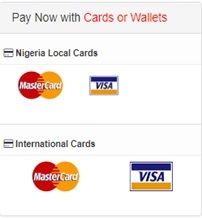 Click on your ATM card option ie either Master Card or VISA under Nigeria if your account is on local (Naira) currenc or International if it’s on foreign currency. 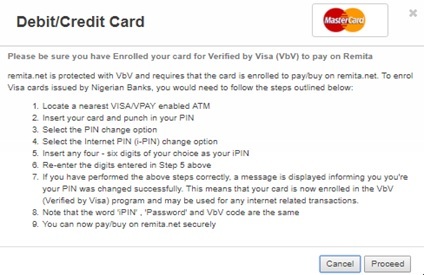 You will see the screen shot below to complete the process. 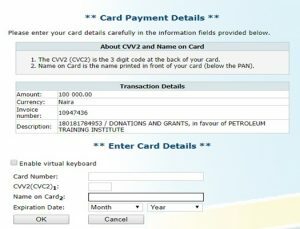 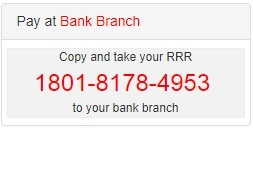 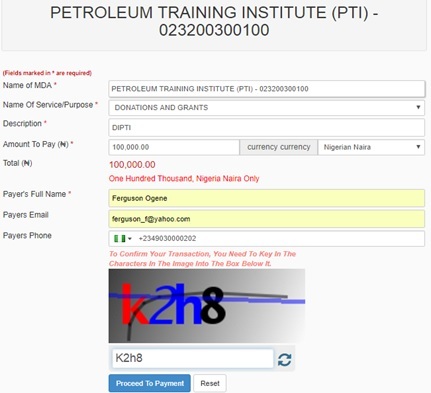 This option requires you to take the RRR code as shown on the sample picture at the right of this text, to any branch of a bank for payment. 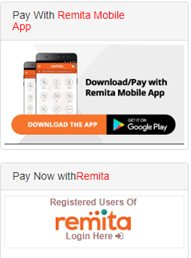 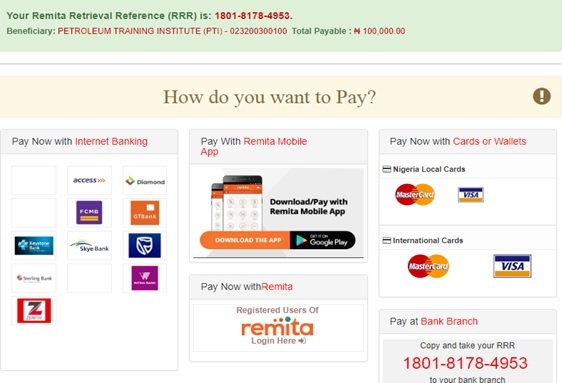 Tell the casual you are to make remita payment and you will be asked to produce the RRR code.